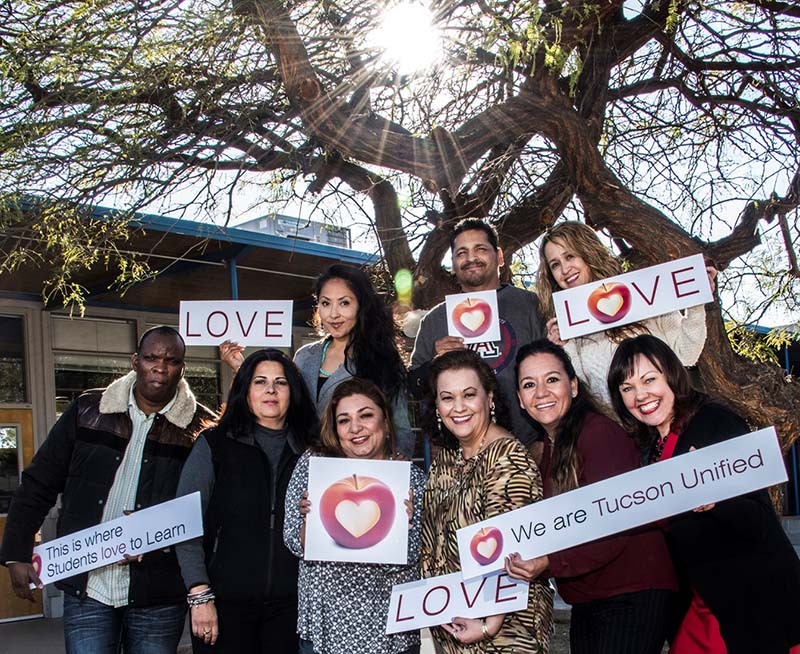 The Family and Community Outreach Department gets to do great things to support Tucson Unified students and their families. The department includes the McKinney-Vento Homeless Program, Family Resource Centers, Clothing Bank, and Neglected & Delinquent Youth. The staff provides all kinds of support, from basic needs like clothing and food, to classes and workshops that help families become stronger, to helping families access district- and community-wide services. The Family and Community Outreach Department is staffed with compassionate, kind, knowledgeable people who are always ready to do whatever is needed to support students and their families. Alma Iñiguez, Director, Family & Community Outreach: Supporting and helping TUSD families through wrap-around services. Salmineo Javier Silva, Custodian/Monitor, Palo Verde Family Resource Center: I like being involved in helping with families and their needs as well as keeping up a clean environment for the families to come and see a great and clean building so they can appreciate. Elga Torres, Clothing Bank Specialist, Duffy Resource Center: I love the fact that I can help children in need at Duffy Clothing Bank. Alain Ndoumba, Student Success Specialist, Dietz K8: Enjoy being among the pre-teen students at Dietz and how my students are progressing with mathematic skills. Rosa Maria Escalante, School Community Liaison, Wakefield Family Resource Center: To establish great and trustful relationships with the families and to be able to provide our TUSD parents with academic and social services. Belen Gamez, School Community Liaison, Palo Verde Family Resource Center: I love the fact that we can now serve our community with food boxes from our very own food pantry. Aggie Hart, Community Outreach Program Coordinator, Family & Community Outreach: I love seeing the smiles from our students and knowing Family & Community Outreach is making a difference! And of course our great team! Anna Caro Read, Administrative Assistant, Family & Community Outreach: I love knowing that what I contribute makes a difference in the lives of my co-workers and our TUSD homeless student and their families. Terri Howard, Family Center Program Coordinator, Family & Community Outreach: I love it that my job allows me to do things to help support families and build stronger students! That I get to work with such a wonderful team of people is icing on the cake!